Sales Training Consultant London - Mark Williams | sales-mind (UK) Ltd. According to the training company Huthwaite International, 87% of the effect of traditional sales training will dissipate and die over a three month period. Investment in the development of sales capability in traditional areas such as skills, process, methodology, product knowledge, and business acumen is necessary, but in the current environment it is not sufficient. There is clearly a knowing versus doing gap: most salespeople know what to do and how to do, but they don’t execute that knowledge consistently and effectively. It is becoming more and more challenging for organisations to source a point of comparative advantage for their product and service sets. The way sales teams engage with their clients can offer a competitive difference. However, there is a challenge in a 21st century distracted workplace. They lack the focus, resilience, motivation, and confidence to concentrated on the key activities that make success happen. At sales–mind, we believe that the differentiating factor in accelerated sales performance is all about mindset and that’s why everything we do is ‘all about mindset’. Sales-mind is the brainchild of CEO Mark Williams. After doing various sales leadership roles, he became frustrated by the inability of traditional sales training to deliver the expected behavioural changes, uptake in skill levels, or any tangible link to improved sales performance. He commissioned research into evidence-based thought leadership in the areas of sports, psychology, business psychology, positive psychology, behavioral economics, and neuroscience. From this, the sales-mind model was constructed. 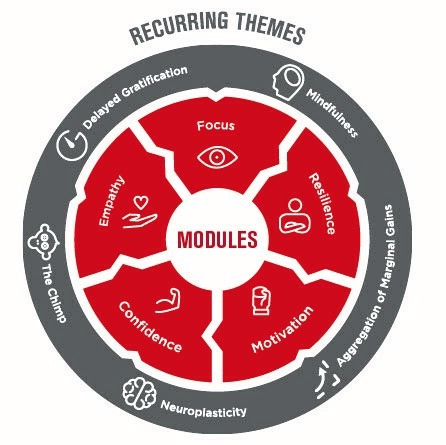 It represents a pragmatic and applicable tool kit of techniques models and mental constructs to enhance fous, resilience, motivation, confidence and empathy. 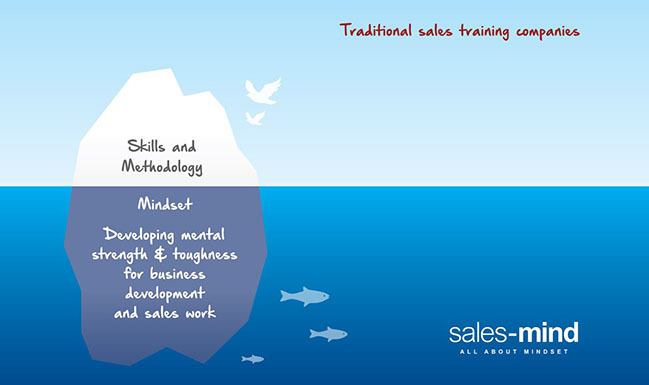 The sales-mind programme is delivered in a two-day workshop with modules to support managers and delegates post event. Delegates have expressed real appreciation that their companies have invested in their professional and personal development outside functional skills. They reported improved personal effectiveness in both the workplace and in their personal lives. They also gained a common language to use with their peers and bosses in the way they communicate, leading to discussions about things they would not normally discuss. Whilst traditional sales training in skills and process addresses ‘what to do and how to do’, it does not cover the mental constructs needed for consistent application and execution. We call this the ‘knowing versus doing’ gap. The key to closing the gap is the enabling factor of mindset, laying beneath the water line. This is why our strapline is ‘All About Mindset’, enhancing mental strength for business development and sales. 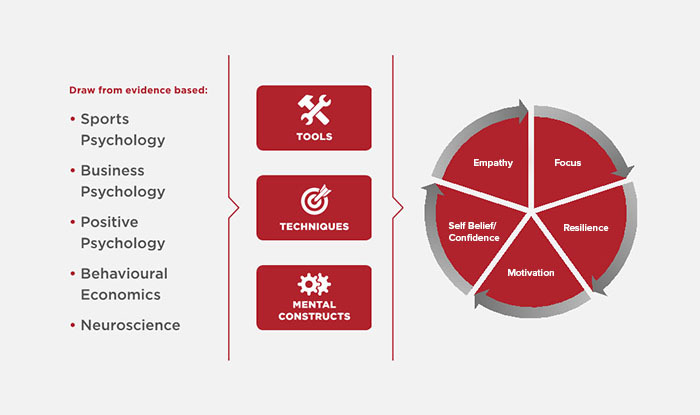 The improvement of focus, resilience, motivation, self-belief/confidence and empathy are not aspects that would normally be identified from a traditional TNA (Training Needs Analysis): however they represent the key enablers in personal effectiveness and sales productivity. The sales-mind content has been compiled from thought leadership in evidence-based science. This has been aggregated into a set of tools, techniques and mental constructs that enhance mental strength. Mark combines a deep experience, knowledge and expertise of sales processes, systems and methodology with a keen interest in all aspects of positive psychology. 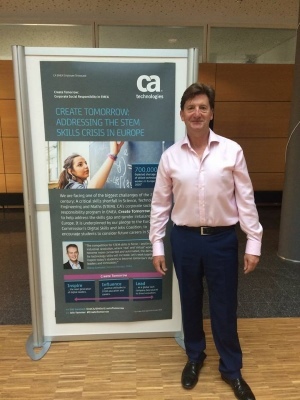 He has used this combination to enhance sales teams’ performance in sales leadership positions in both corporate and consulting roles, such as Cisco, BT, Virgin Media, C&W, Kraft Foods, Reed Elsevier and GSK. Prior to setting up sales-mind, he ran a sales training consultancy. He has an MBA from the Open University. For more information about my sales training please contact me. The team who developed the sales-mind concepts come from a rich background in operational sales, sales leadership and psychology. The object is to afford business leaders the opportunity to invest in their sales teams in a different and thought-provoking way, leaving a legacy of self-determination, clear thinking and enhance effectiveness. "In order to grow we must be open to new ideas… new ways of doing things… new ways of thinking."